Badminton is one of the popular CCA sports which our students choose to participate in. The number of students who opt for this sports increases each year. By far, the school has discovered and nurtured many talented players. 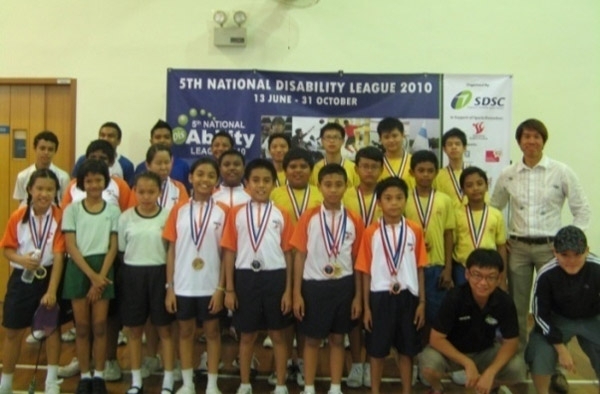 These students have since represented the school in various tournaments organized by external agencies, to name a few, Special Olympics, SDSC National Disability Badminton League and Pilot Pen Badminton Tournament. Started last year, the school has engaged a professional coach to train and further enhance the skills in our students.A Badminton Awareness Day was held last year in September to instil the interest for this game in our younger students. The committee hopes to inspire and encourage more younger students to take up this sports.